When I was working I took the train every day from Scarborough Station in Westchester County to Grand Central Terminal. The platform is right on the Hudson, separated from it by a number of windows. Before they renovated the station a few years ago the windows were covered with spider webs. 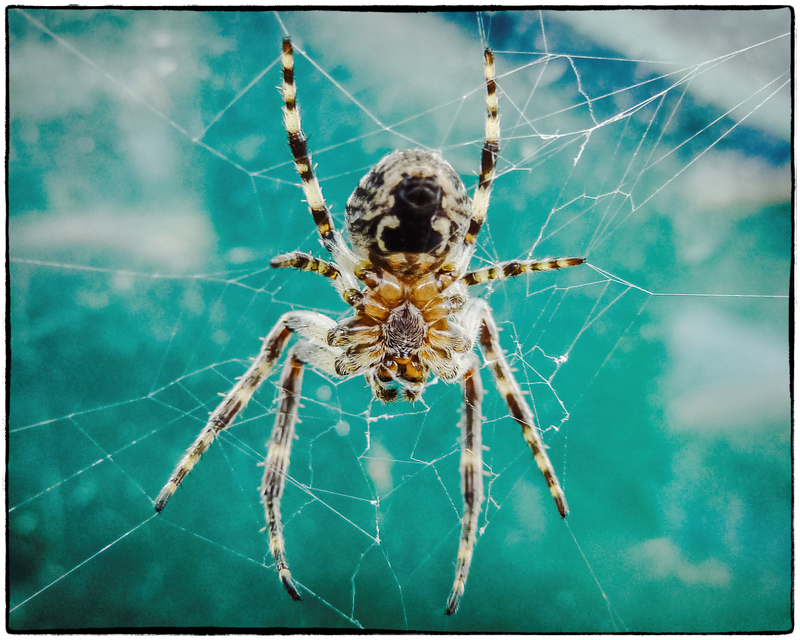 Here’s one of the spiders. After the renovation the spiders seem to have disappeared. A 2010 vintage shot taken with a Panasonic Lumix ZS-3.